The two-day forum, the first of its kind in Lebanon, explored challenges and trends in franchising. Business people gathered to hear leading speakers and franchise owners at the Beirut International Franchise Forum & Exhibition 2010 (BIFEX). The event took place 27-28 May 2010 at the Adnan Kassar Edifice for Arab Economy in Beirut. 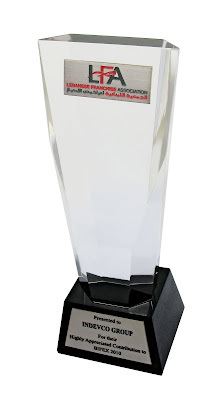 The Lebanese franchising industry, which is estimated at a value of $3.2 billion, leads the competition in the Middle East at a time the booming regional market, estimated at $30 billion in 2008, is drawing increasing international attention. Experts agree the Middle East market is still in its infancy, but with a whopping growth rate of 25 percent, it offers promising opportunities which the Lebanese business community is impatient to tap. 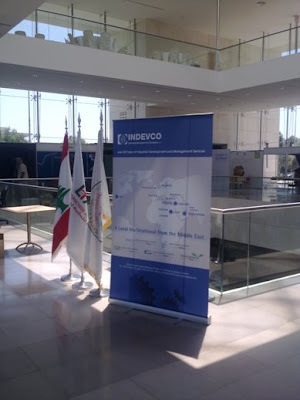 INDEVCO banners were displayed at the entrance to the forum and a Shouf 7alak bi Lebnan campaign promotional CD were distributed to the forum visitors. A Shouf 7alak bi Lebnan facial tissue box was also offered to guests at the gala dinner at Riviera Hotel in Beirut. BIFEX was organized by the Lebanese Franchise Association (LFA) and the General Union of Chambers of Commerce, Industry and Agriculture for Arab Countries (GUCCIAAC).